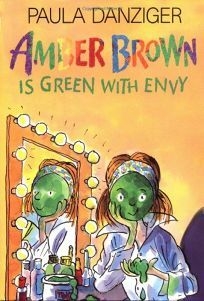 Paula Danziger's unsinkable heroine is put to the test in Amber Brown Is Green with Envy, illus. by Tony Ross, when Amber's dad spends time with his dates instead of her, and Mom and Max step up the wedding plans and consider moving to a new town. Danziger probes universal issues with her characteristic compassion and humor.